You can't touch me. We're on American soil now. And I am the president. 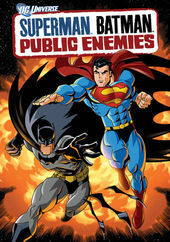 With brassy nationalism and radioactive gaga the opening to Director Sam Liu’s Superman/Batman: Public Enemies offers powerful equanimity of oppressed superpowers in this thinly veiled allegory of the republic for which it stands. 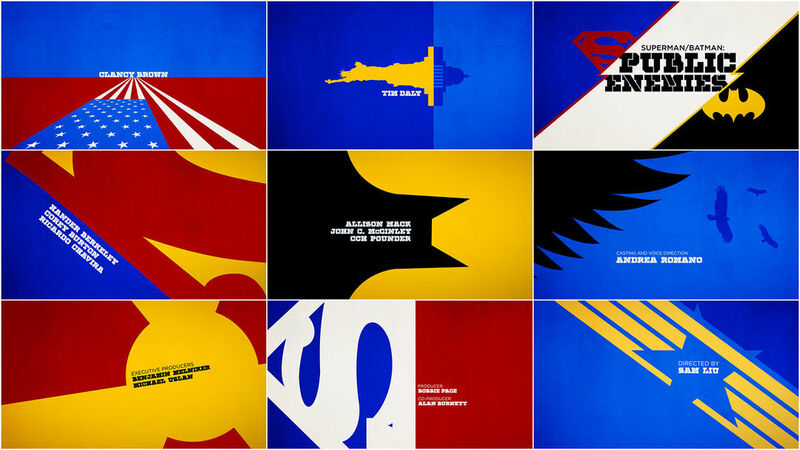 We created the feature main title for the new animated movie Superman/Batman: Public Enemies for Warner Video and DC Animation that tips the hat to Saul Bass. The project is a 2:17 long animated piece that captures the spirit of classic 1960s film titles. Bold and slightly abstract, the animated twists and turns are geometric references to the power of comic heroes as pop culture icons and a playful lead-in for the graphic novel-style drama to unfold.